What Are The Seven Fabric Types Of Overalls? The choice of overalls fabrics directly determines the quality, functionality and comfort of the overalls. The following School Uniform Fabrics Manufacturer explains the fabrics of the usual overalls. 1. TC Oxford textile fabric: no deep color, no fading, no ball, easy to wash and dry, soft to the touch, good moisture absorption, comfortable to wear, fireproof star. 2, C fine twill fabric: do a single layer work clothes gram style, fabric features: fabric is relatively strong, breathable and sweat-absorbing; fluffing, full process finishing, pilling level reduction; relative yarn gauze is softer, skin feel better; almost no wrinkle Shrinkage, the level of stain resistance is almost the same as sweat-absorbent twill. 4, TC poplin fabric:, clothes used to make shirt style; fabric features: breathable, sweat-absorbent, lightweight; thin fabric, relatively impervious to wear, fluff, full process finishing, pilling level reduced; almost no consideration of shrinkage, stain resistance The grade is almost the same as sweat-absorbent twill. 5, TC canvas fabric: to do a single layer of clothing, double jacket style, fabric features: fabric is relatively strong and strong, breathable and sweat-absorbing; fluffing, full process finishing, pilling level reduction; almost no consideration of shrinkage, stain resistance grade is slightly worse than Sweat twill. The cloth body is particularly thick, the cloth surface is flat, the hand feels stiff, and the appearance is rough. 6, TC yarn card fabric: do a single layer of clothing, double-layer, jacket style, fabric features: fabric is relatively strong and strong, breathable and sweat-absorbing; fluffing, full process finishing, pilling level reduction; almost no consideration of shrinkage, stain resistance level Poor to sweat-absorbent twill. 7, TC Seiko fabric: (also thick and anti-static) - fabric is made of polyester filament and cotton yarn intertwined, twill as the surface, the fabric has both chemical fiber anti-wrinkle, anti-pilling (hair) effect, the back It does not lose the comfort, moisture absorption and breathability of cotton. 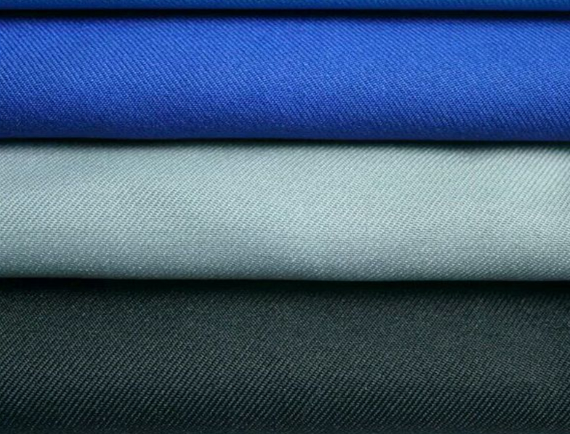 We only need to produce a variety of clothing fabrics, such as: Trousers Wool Suiting Fabric, TR Suiting Fabric, etc. Please contact us. Previous: How Are The Fabrics Classified? Next: What Are The Basic Requirements For Student School Uniform Fabrics?